William functions as Strategist, Lead Enterprise Information Architect, and Program Manager for organizations worldwide making data into a key asset. He has worked with and advised many of the world’s best-known organizations. His strategies form the information management plan for leading companies in various industries. William is a leading global influencer in many disciplines related to data. He is prolific book, benchmark, white paper and tool comparison author, and a popular keynote speaker and trainer. 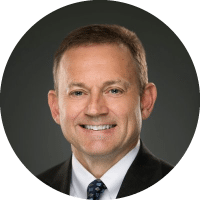 He leads McKnight Consulting Group, which has placed on the Inc. 5000 list in 2018 and 2017. I started as a developer of the DB2 product at Santa Teresa Lab for IBM. It was a great foundational role for many of the roles to come. I am currently drawn to artificial intelligence – for which I believe data is key, cloud computing and getting databases effectively and safely into the cloud for clients, analytics as advanced as the data allows and cloud database performance. There are many – some that people would know and others that do some quite advanced things but you’d never hear about it except interpersonally. My BI heroes are my clients. I’ve learned so much from them and I like to say I am just a product of taking forward all the great things they’re doing, formulating them into ideas, and quite frequently learning what does not work. People who give back. People who overcome. People who have a vision for their lives. I never dreamed I could have the impact that some people tell me I have. I’m just somebody who loves to learn, think, achieve and help others. I use writing and speaking as avenues to assist those goals and others seem to benefit as well. It’s great. Artificial Intelligence is rapidly evolving and will become a mainstream enterprise solution. It is starting out with many experiencing its traps and trepidations but winning organizations will “fail fast”, learn and use this essential discipline to pave a successful future. At the same time, I expect to see noticable fallout from organizations who have either refused to invest in data the past few years or who have not had success with data and are just getting by with an accidental architecture. For tech using organizations like healthcare, financial, communications and retail organizations, we’d love to hear about your data challenges. If appropriate, let us be your trusted advisor for the important asset of data. For our vendor friends, when we agree on value proposition to the market, we write white papers, are the expert on webinars and roadshows, do guest blogging, benchmarking, build demonstration systems and help with market positioning. We have helped dozens of technology organizations reach new audiences, secure additional funding, and reduce sales cycles. We offer a wide range of deliverables for both markets that can be customized to meet specific needs.